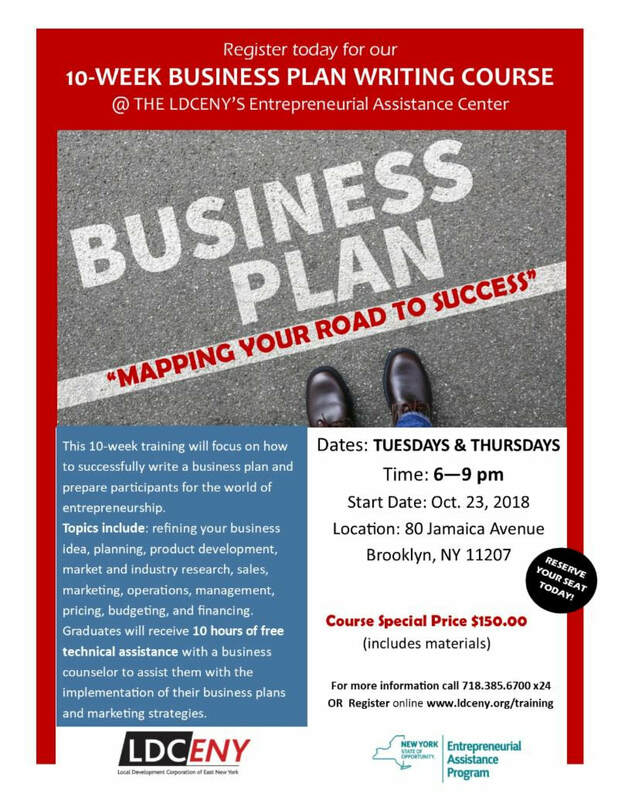 The LDC of East New York is providing a 10-week, 60 hours business development training for aspiring entrepreneurs and small business owners. This award-winning 60-hour training will meet twice per week, on Tuesdays and Thursdays from 6:00 p.m. to 9:00 p.m. for 10 weeks. The training is limited to 20 people. The cost is $150 per person (includes books and materials). We have made it easier and more affordable to take advantage of this training. Please use the PayPal button for payment below. Use the payment option below to reserve your seat today! If you choose to Reserve your seat with a $50 down payment, you have until Monday, October 22, 2018 to pay your remaining balance. All payments are non-refundable after 10/23/2018.